DOWNTOWN — Congratulations, Chicago: most of you know where Downtown is. 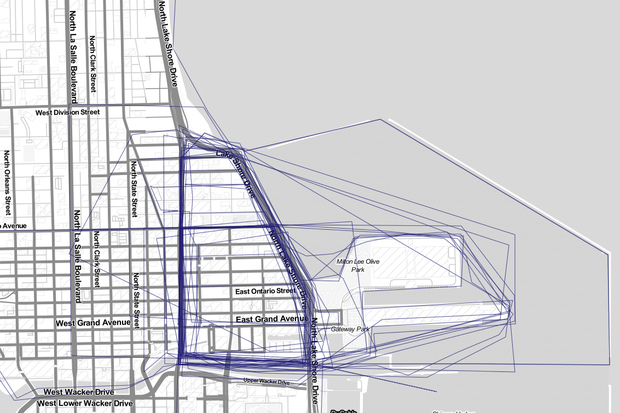 For the most part, readers asked to draw their neighborhoods here accurately outlined the borders of the Gold Coast, Streeterville, River North and The Loop; the latter of which takes its name from the elevated trains that have been circling the city's central business district for more than a century. There is no such consensus, however, for the South Loop. 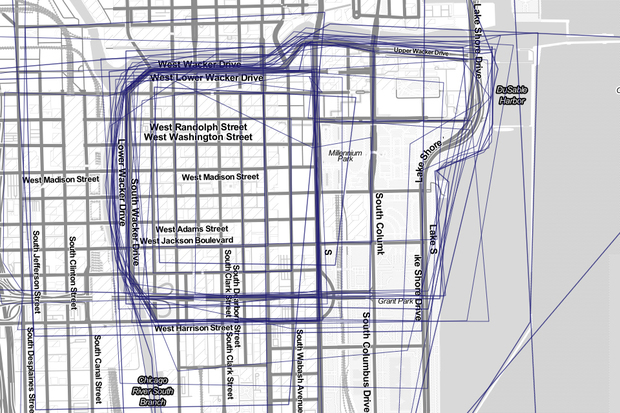 A screenshot of the neighborhood's drawings shows borders zig-zagging from Northerly Island all the way to Halsted Street, and from Cermak Road to Congress Parkway. 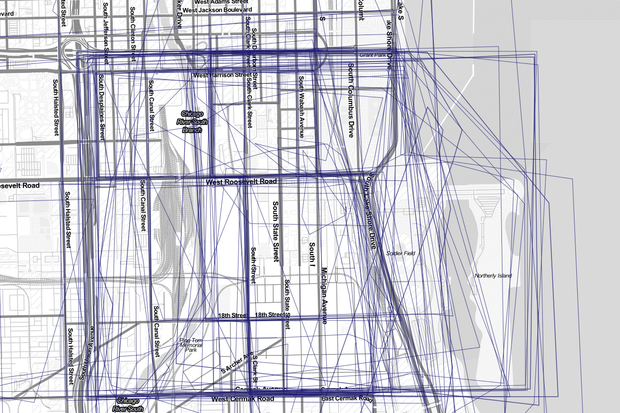 One big reason for the discrepancies: The South Loop doesn't even exist, at least according to the city. 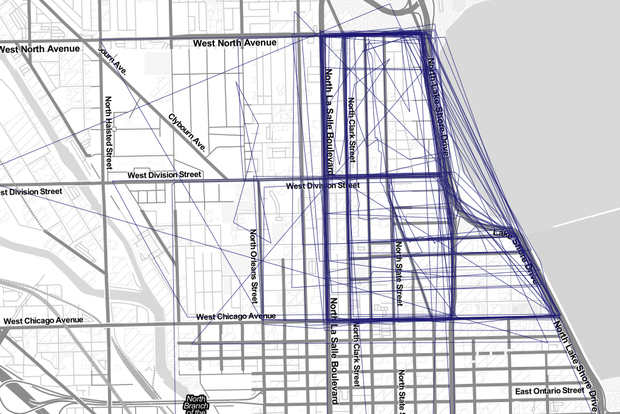 A peek at City Hall's own neighborhood map shows the South Loop exists somewhere in a broader community area known as the Near South Side, which encompasses McCormick Place, Soldier Field, and other well-known locales. With new retail and developments planned all over the area, South Loop residents expect their lines to only be blurred further. "Those kind of boundaries are constantly tested in marketing," said Tina Feldstein, a real estate broker and president of the Prairie District Neighborhood Alliance, a South Loop neighborhood group. "You're not going to get a consensus because there’s so much development and revitalization ahead." Feldstein has lived in the South Loop since 2003, but has worked in the neighborhood since the mid-1990s, when she said "no one even wanted to admit they lived south of Roosevelt Road." Her group believes the South Loop stretches as far north as Van Buren Street — the southern boundary of the L trains' literal Downtown loop — down to the Stevenson Expressway by McCormick Place, and from the Chicago River to Lake Michigan. A statue at King Drive and 26th Street that acts as a gateway to Bronzeville — another neighborhood that's not on the city's map — stands just south of the Stevenson. Decades ago, the area known as Printers Row was considered part of the "South Loop," and anything immediately south of Roosevelt was called the "Near South Side," Feldstein said. But the massive Central Station development near Roosevelt pushed "South Loop" cachet further south in the '90s, and real estate agents and others have only continued testing the boundaries amid new construction. Feldstein once recalled a Costco at Ashland Avenue and 15th Street advertising itself as "the South Loop" Costco when it opened. Ultimately, the South Loop will be defined by people "based on where they think it's comfortable to live," Feldstein said. Both she and city officials hope, with a 1,200-room hotel and new event center queued up nearby, that comfort zone will reach McCormick Place some day. "But it's going to take some more time," Feldstein said.